We mainly produce 180 degree elbow according to GB,HG,ASME,ANSI,API,EN,BS,DIN,JIS,KS,GOST,AS standards.Elbow contains:180 degree elbow,45 degree elbow,90 degree elbow,customized radius elbow,short radius elbow,long radius elbow,elbows in any degree. 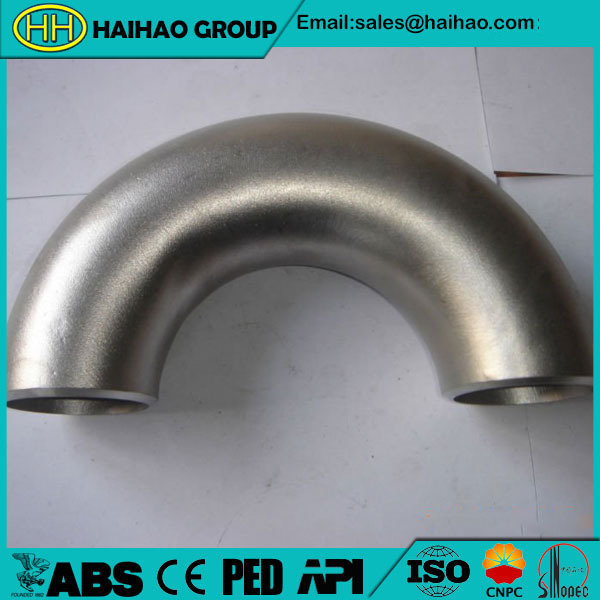 Hebei haihao Group is a professional manufacture factory specialized in producing 180 degree elbow and other types of pipe fittings. We have our own team and advanced technology to produce.If you have any requirements about 180 degree elbow and other products,welcome to contact us.